In an era of funding deficits, this is an example of how spending cleverly can generate real savings, improve patient outcomes and increase staff morale. 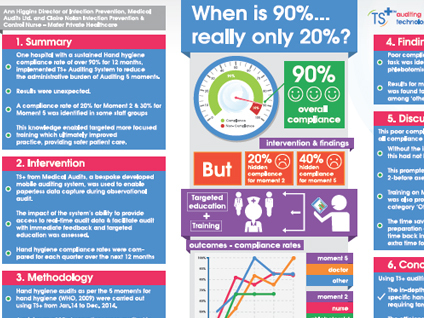 Using Medical Audits Hand Hygiene auditing software to target individual hand hygiene moments - Audit and feedback led to improving compliance from 20% to 90%? 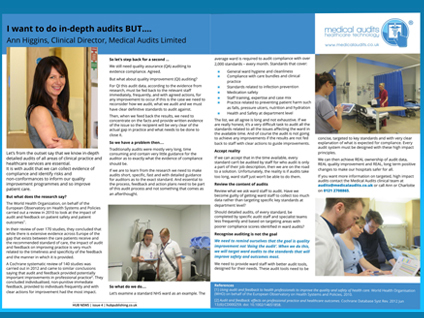 In April 2016, Ann, Clinical Director at Medical Audits participated in an Expert panel convened in Geneva, Switzerland to discuss agents and methods used for skin antisepsis prior to surgery or IV catheter insertion. 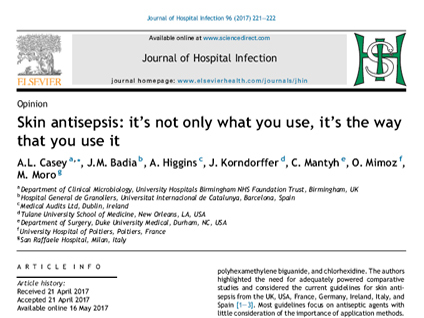 The panel concluded that as well as further studies into the use of application method for skin antisepsis prior to surgery and intravenous catheter insertion, a full review of this topic is a priority. The group have gone on to carry out a systematic review of this topic which is awaiting publication. 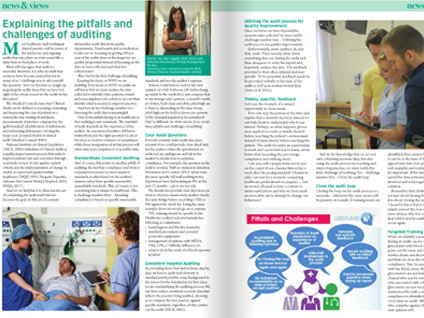 Hospital Hub published an article written by Rosie Dixon, Nurse Consultant at Sherwood Forest NHS Foundation Trust. 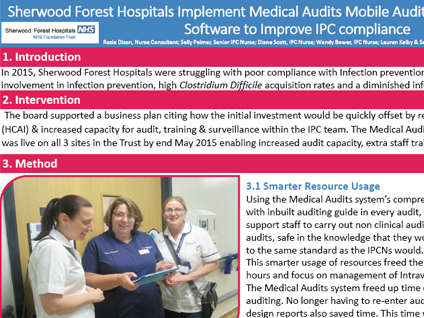 In the article Rosie explains how utilising the Medical Audits auditing and quality assurance systems enabled IPCNs across their 3 hospitals to increase clinical audit and feedback. 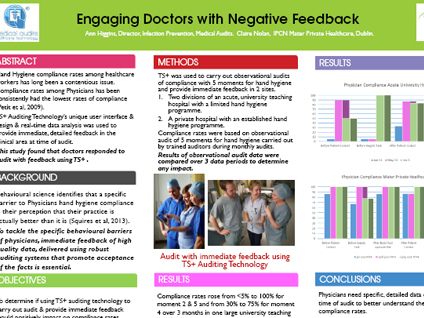 They also found that empowering Ward Managers with individual access to issues raised against their departments increased accountability. 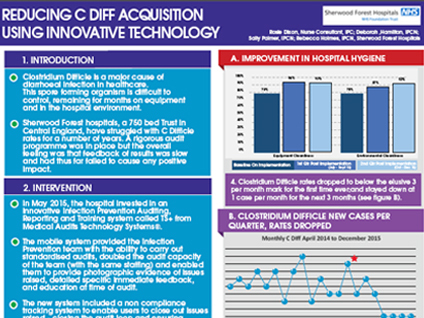 Together, these interventions reduced rates of HCAI and saved the trust over £900,000 in 3 years. 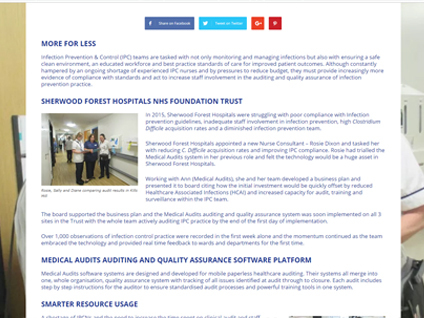 We need to provide ward staff with better audit tools, designed for their needs. These audit tools need to be concise, targeted to key standards and with very clear explanation of what is expected for compliance. Every audit system must be designed with these high impact principles. 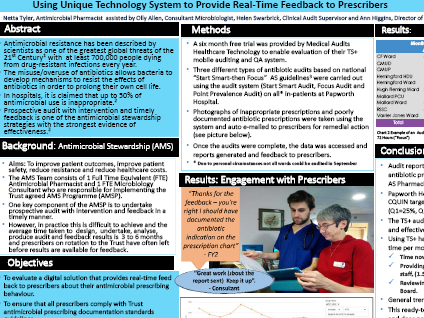 We can then achieve REAL ownership of audit data, REAL quality improvement and REAL, long term positive changes to make our hospitals safer for all.